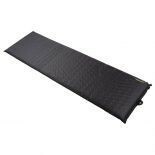 The Zempire Slumberlite Single Self Inflating Mattress boasts a 10cm thickness for optimum comfort and excellent insulation from the ground. The die cut memory foam will ensure a comfortable night's sleep and the easy operating valve makes the mattress simple to inflate and deflate. Storage and transportation is easy too, thanks to the included carry bag.